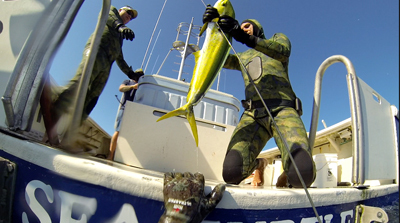 Are you curious about spearfishing in the local waters off Long Island? Now is your chance to learn about the exciting sport of spearfishing right here on Long Island. On April 11th at 11AM we will be having Matt Sasso in to give a presentation he calls “Spearfishing 101.” Topics to be covered include: Underwater hunter safety, equipment selection and use, hunting techniques, fish identification, fishing regulations and conservation practices. Summer and prime spearfishing season is right around the corner. Don’t miss this opportunity to learn from a guy who has spent many years spearfishing the local waters around Long Island. I am interested in going to the spearfishing 101 course on April 11th and just wanted a few more details about it, such as cost and location. Kyle, I eMailed you the information, hope to see you on the 11th. Can you email me the info about the spearfishing seminar as well? Thank you. Are there any schools or classes for kids ( 12 and over age – wise) for spearfishing on Long Island – Montauk, Easthampton area ? I’m sorry. The minimum age for our freediving class is 16 years old. 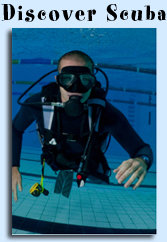 We don’t offer training in spearfishing.